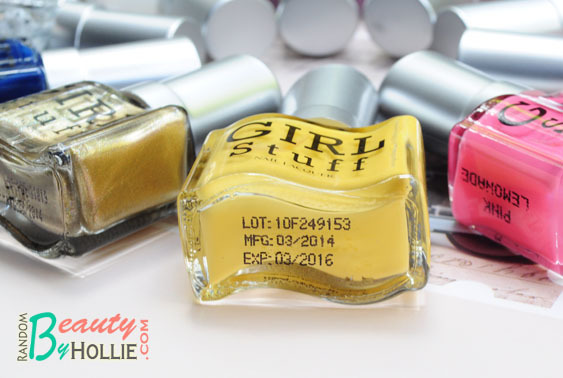 Girl Stuff Nail Polish Bar gives women across all ages the opportunity to indulge in more colors, textures, and finishes for their tip and toes with nail polishes that are trendy and affordable, and do not compromise quality. 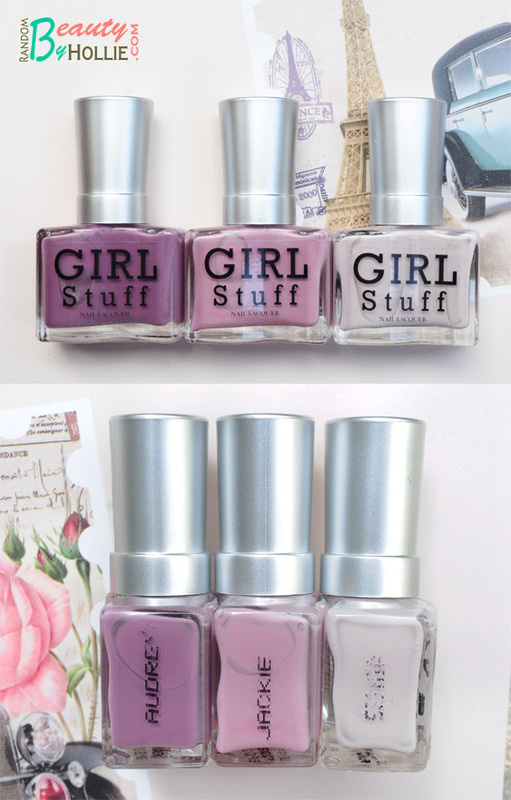 Imported from France, GirlStuff is "5-free" -- free from the five harmful chemicals usually found in nail polish: Toluene, Formaldehyde, Dibutyl Phthalate, Camphor, and Formaldehyde Resin. Thus, these are safe, even for children. 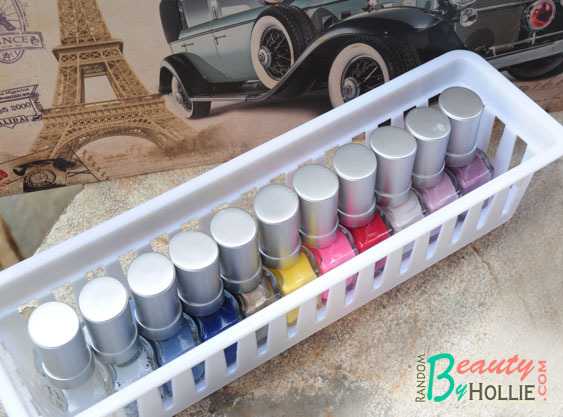 These nail lacquers are available in over 70 fun and stylish colors that have vibrant hues and shine, allow for a streak-free applicaton, dry quickly and last a long time. I also forgot to mention something, I like the fact that each bottle has a complete label of their manufacturing and expiry date at the bottom. thumbs up! 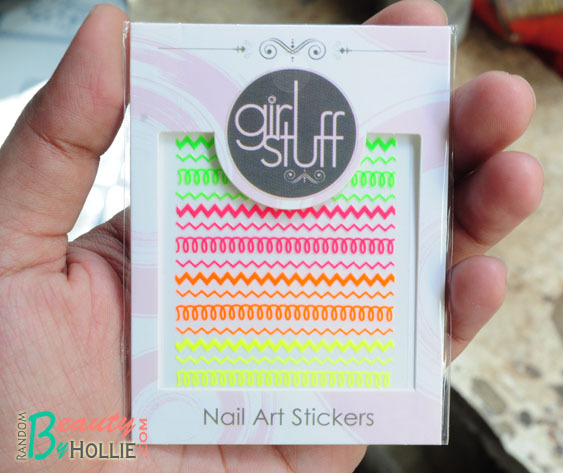 For the nail art lovers, Girlstuff carries a selection of brushes, dotting tools, tapes, stickers and stamping sets. 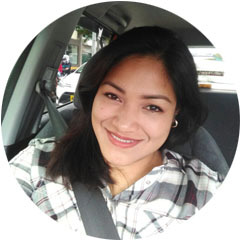 Phew, that was a mouthful! 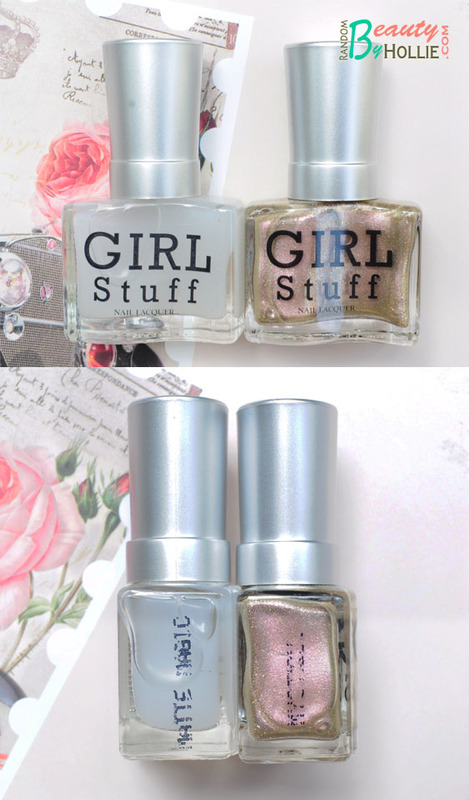 LOL Anyway, I'm sure that you already know how I much like these polishes, so go ahead and check them out now! 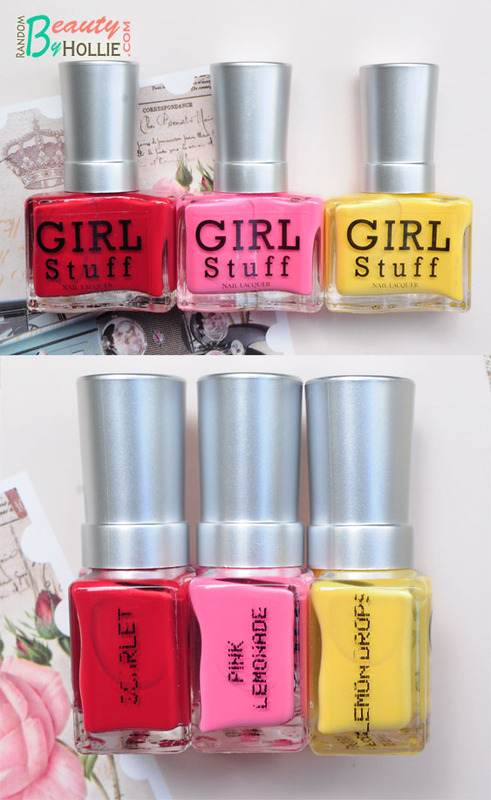 for more information about their products and location, you can visit their Website at http://www.girlstufforever.com/. 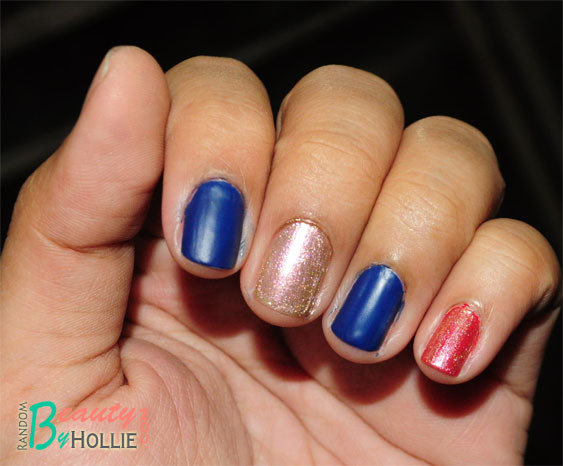 I love the Sophisticate Collection! It's worth the hype. 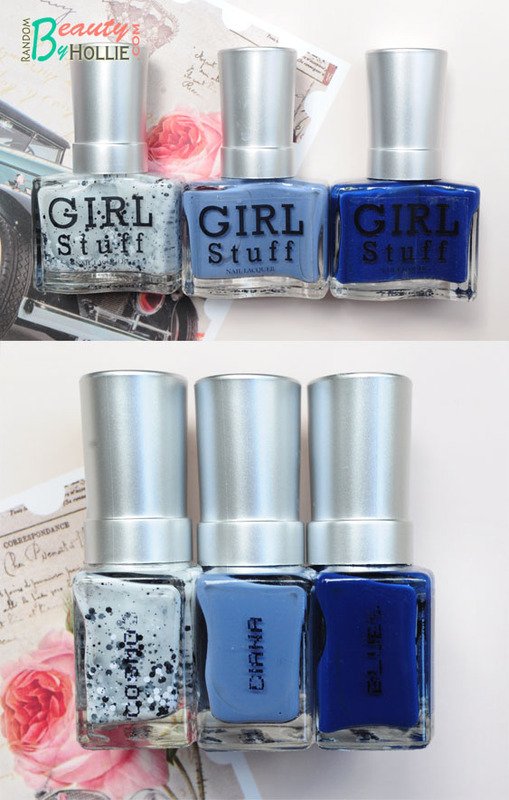 For the price range, I have a hard time finding polishes that are quick-dry and survive my overnight test. I already have four and I've had to restrain myself from getting a fifth. 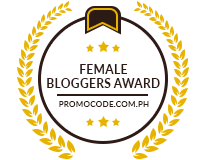 Next time na. Hahaha.